Dave Eichelberger has opened a new business in Miles City. Although Dave and his business are new to Miles City, Dave is not new to the HVAC industry or to owning his own business. He has been in business for more than 10 years doing all types of HVAC service and installation. He provides excellent service, done in a timely and professional manor. 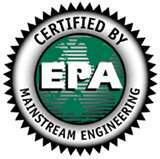 Dave is EPA certified. Free estimates within a 30 mile radius. Servicing Miles City and surrounding areas. A/C service on your ranch/farm equipment and vehicles. Give Big Sky a call, let Dave keep your residence or business cool in the Summer and Warm in the winter.